﻿ How to Run eCommerce Email Marketing Campaigns » Red Mango Marketing! With cart abandonment becoming one of the biggest reasons for the loss in revenue, ecommerce businesses need to use cart abandonment emails to their advantage. It is a reminder email for customers to complete the order and empty their digital shopping carts. 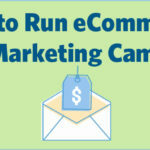 The post How to Run eCommerce Email Marketing Campaigns appeared first on Constant Contact Blogs. This entry was posted on Thursday, February 7th, 2019 at 3:40 pm	and is filed under Email Marketing, News & Updates, retail. You can follow any responses to this entry through the RSS 2.0 feed. Both comments and pings are currently closed.